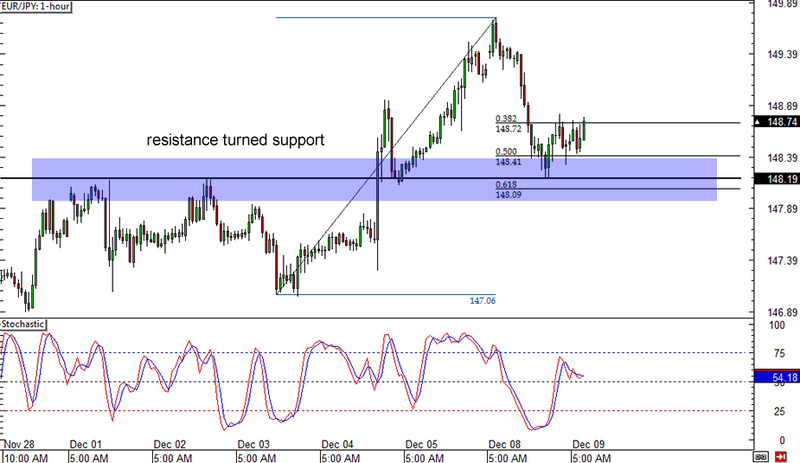 First up is this break-and-retest play on EUR/JPY’s 1-hour forex chart! The pair recently surged past the ceiling at the 148.00 major psychological level and zoomed up to 149.75. From there, the pair pulled back to support near the 50% Fibonacci retracement level, which is also right around the broken resistance zone. Price seems to be showing upside momentum for now since stochastic is climbing, which suggests that EUR/JPY might make its way back up to the previous highs. A deeper pullback could lead to a test of the 148.00 handle while a strong return in buying pressure could lead to a move towards 150.00. Dollar bulls, watch out! 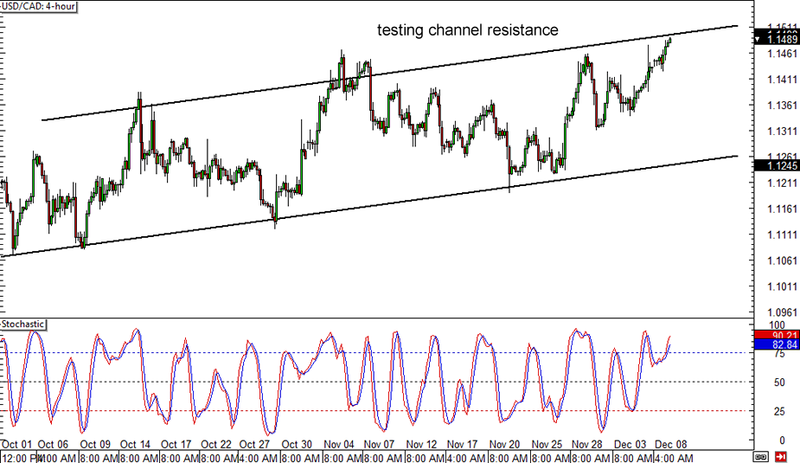 If you’re long USD/CAD, you should know that the pair is currently testing the top of the rising trend channel on its 4-hour forex time frame. This means that price might head south sooner or later, possibly until the bottom of the channel at the 1.1250 minor psychological level or at least until the mid-channel area of interest at 1.1350. Stochastic is already indicating overbought conditions but hasn’t crossed down yet, which means that there may be a bit of bullish pressure left for an upside breakout. Better review our lesson on How to Trade Breakouts if you’re thinking of going long above 1.1500! 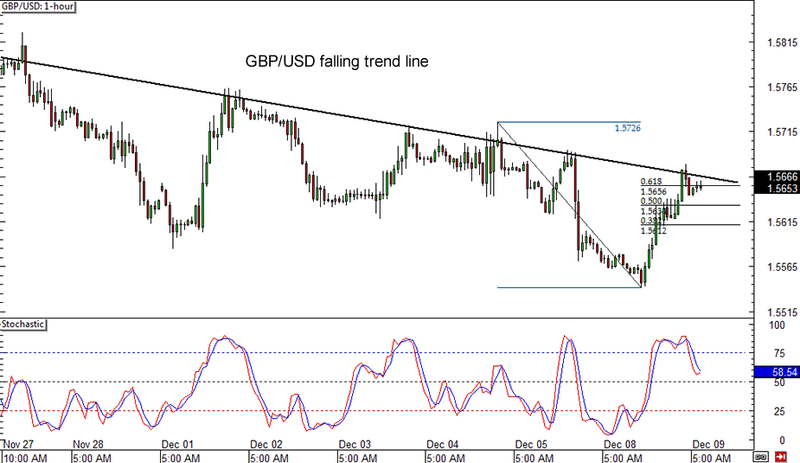 Last but not least is an update on the GBP/USD forex setup I showed y’all yesterday. The pair ended up making a pullback from its recent lows around the 1.5550 minor psychological support and tested the descending trend line on its 1-hour chart. Price appears to be finding resistance at the 61.8% Fibonacci retracement level, which is near the 1.5650 minor psychological mark. At the same time, stochastic is moving south, which means that pound bears are in control of price action and may push GBP/USD back down to its previous lows. An upside break from the trend line could mean that a reversal is starting.